Though they haven't always been around, minigames are one of the crown achievements of the digital entertainment spectrum. After all, what could be more fun than playing a game only to discover that there's another game hidden within? While some titles might boast their minigames proudly, like Quent or even Triple Triad, Sonic Mania's added minigame has been kept relatively secret, hiding its meta-level fun away for players — nay, champions — of the highest pedigree. 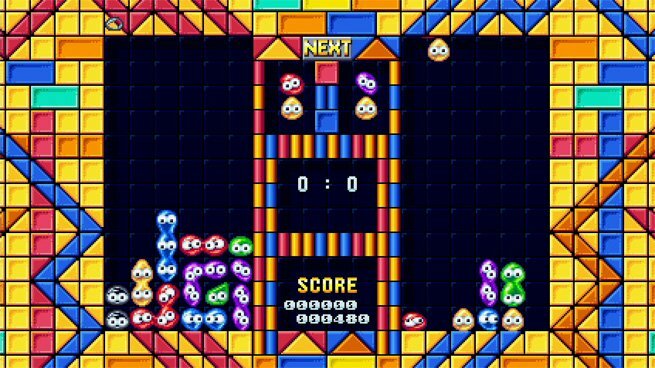 For all of those stoic, unfaltering heroes, Sonic Mania's developers have tossed in a very special treat — a complete and fully-playable version of Dr. Robotnik's Mean Bean Macine, the Sonic-esque knockoff-of-sorts of the popular puzzle game PuyoPuyo. Read on to discover how to unlock Mean Bean Mode within Sonic Mania. Unlocking Sonic Mania's Mean Bean minigame is much easier said than done. To unlock the bonus gameplay mode, players will have to earn medals from the game's Get Blue Spheres minigame. Players can gain access to this minigame after activating a level's checkpoint with 25 or more rings in their inventory. A portal will open, and after jumping through, players will be deposited into a 3D-based world where they'll be tasked with collecting blue spheres while avoiding red spheres. Players familiar with past games in the Sonic franchise will know that this game isn't exactly easy. Making matters worse, players will have to successfully complete the entire level in order to earn a medal. For now, no one is quite sure the number of medals needed in order to unlock Mean Bean mode, but it appears that players will need at least 20 silver or gold medals in order to unlock the minigame. That's quite the tall order, especially considering that players will have to collect all the rings in the bonus levels to get the gold; happily, it seems silver medals will serve the purpose here. To make matters feel less drastic, unlocking medals in Sonic Mania's blue sphere-based minigame also unlocks other various rewards as well, so players won't be left mindlessly grinding away without earning any rewards in the interim. Once the unlock condition has been satisfied, players can find the new option for Mean Bean Mode within Sonic Mania's Extras option on the home screen. Stay tuned for Modojo's upcoming Sonic Mania guide hub, where we'll conveniently collect all of our Sonic Mania how-tos, tips, and strategies.